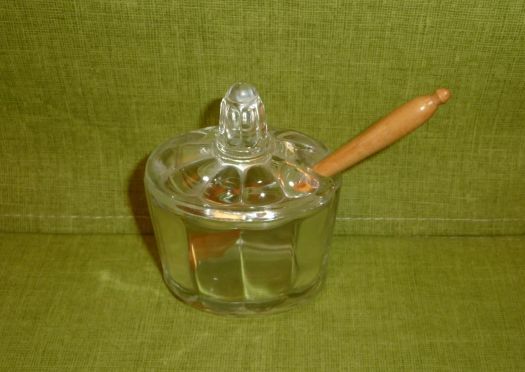 Mustard pot in glass, small size, with an old spoon. 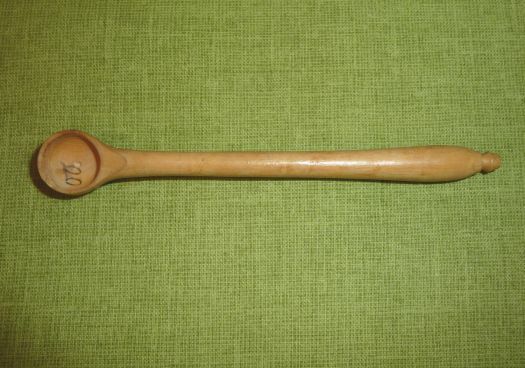 This spoon is a model, that is why there is "00" written inside. 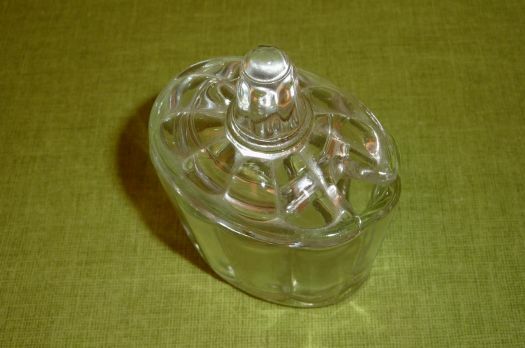 Good condition, it will be both pratic and pleasant on your table !